If you’re looking to use dedicated servers to store sensitive details about your customers, making sure the data is strongly protected is an essential aspect you need to think about. While you’ll need to look into hosting solutions that are reliable and can provide you with the speed you need to run your business – which you can find at snelserver.com – if you don’t consider how to secure your servers, you could lose the trust of your customers and run the risk of large fines. In recent months, this has been highlighted by a series of high-profile hacks, with affected companies including LinkedIn, Yahoo! and eHarmony. This week, game developer Blizzard became the latest victim, with the personal details of millions of users thought to be compromised. 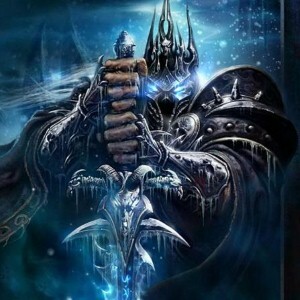 The hack targeted the firm’s Battle.net online platform, which covers popular titles such as World of Warcraft, Diablo and StarCraft. On an update posted to the company’s blog, head of Blizzard Mike Morhaime explained the hackers had been able to access information including email addresses, security question answers and other authentication information. However, he reassured users that the hack is not thought to have breached the most sensitive parts of its databases. “At this time, we’ve found no evidence that financial information such as credit cards, billing addresses, or real names were compromised,” Mr Morhaime said. The stolen data also included cryptographically scrambled versions of passwords. However, the executives said it is highly unlikely criminals would be able to extract actual use passwords from these, due to the Secure Remote Password protocol used by Blizzard. While this highlights the importance of strong encryption measures for sensitive data stored on servers, Mr Morhaime nevertheless urged players to change their passwords as a precaution. With hackers becoming increasingly high-profile and used ever-more advanced methods in order to gain access to enterprises’ systems, the latest incident shows how essential it is to take steps to minimise the risk and ensure that even if you are breached, it is as hard as possible for hackers to steal useable data. Mr Morhaime also used the blog post to apologise to customers, observing: “We take the security of your personal information very seriously and we are truly sorry that this has happened.” Find the latest dedicated servers from Snelserver.com.